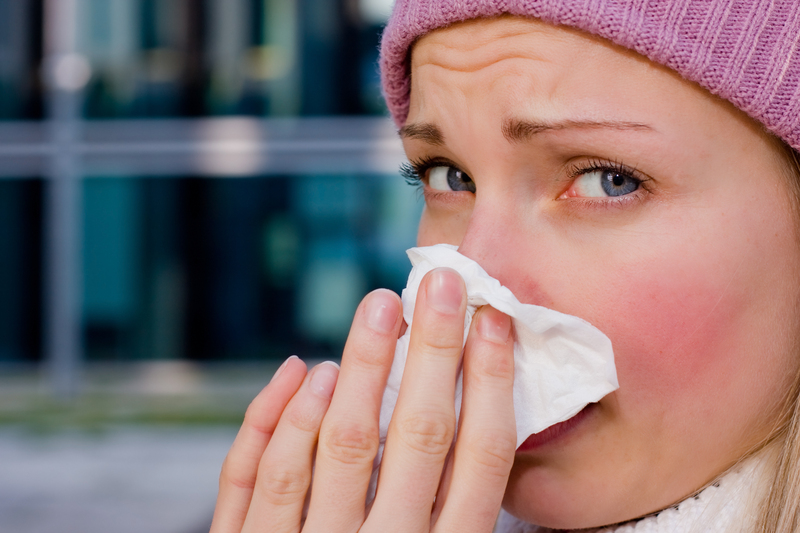 Dentist Woodstock: Sinusitis Got You Down? Winter is getting cranked up and we need to take measures to maintain our health because during the winter months and at other times when the air is very dry, it is important to keep our nasal passages moist. When I was young I used to think my mother’s practice of medicine was just one more of her old wives tales, but practically applied her easy way to moisten your nasal passages is to sniff salt solution into both sides of the nose 2-4 times a day seems to work. To prepare a solution of proper strength, add 1/4 teaspoon of table salt to a cup of warm water, and stir it until all the salt has dissolved. Sniff some from a spoon or other small container into each nostril. Alternatively, you can buy ready-prepared nasal saline products, such as Ocean, Simply Saline or generic equivalents from drug stores. Such solutions can be used to wash away mucus from the membranous lining of the nasal passages. They also help by shrinking any parts of it that are swollen. This may save you a trip to the doctor. If this is not done, mucus and the swollen membranes around these openings may block openings of the sinuses into the nasal passages. Sinusitis will then occur if nasal bacteria infect the mucus, which can no longer drain from the blocked sinus. Treatment of sinusitis (rather than its prevention) often requires the use of antibiotics. Part of the source for this article came from my mom and part from the American Family Physician (70:1685 & 1697, “04) & Wall Street Journal (Dec.7″04, page D6). 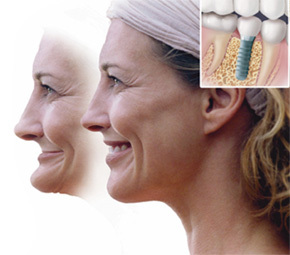 Dentist Woodstock, GA: What  Questions Do Patients Ask About Dental Implants? Woodstock Dentist: Is the Right Smile Center right for me? Make the right choice in the right dental practice; choose Novy Scheinfeld, DDS, PC, and her associate Sidney Tourial, DDS, PC, located half between Woodstock and Acworth on Bells Ferry Road. Consider the bottom line to your self-esteem and consider being treated by an Emory trained prosthodontist. Some people avoid smiling because they are ashamed of their teeth or unsure of how they will be received by the dentist after so many years of procrastination. Our practice has over 4 generations of patients who are not ashamed of their smile. Before Dr. Neal Kopp past away in 2008, we had over 5 decades of experience in prosthodontic dentistry. All of us either practiced, trained or taught at Emory University’s School of Dentistry. Cosmetic dentistry by a prosthodontic based practice involves improving the aesthetics and function of your smile with the right smile, to make you look and feel more attractive. Click www.rightsmilewoodstock.com and see for yourself. We have over 400 unedited reviews by patients with real life experiences in our practice. Don’t believe me, read what others have to say – good, bad or otherwise. If cosmetic dentistry is right for you, then we are right for you. 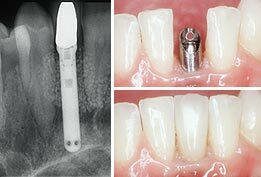 Dentist Woodstock, GA: The future of Implant Dentistry is now. Woodstock, GA Dentist: Brush and Floss if you want to keep ‘em. Often I am asked questions such as how often I should floss and is flossing really necessary. I am famous for saying “You should only brush and floss the teeth you want to keep!” Brushing and flossing your teeth are the two most important patient activities you can do to ensure good oral health. The goal of brushing and flossing is to reduce or rid your mouth of harmful bacteria that can adversely affect both your gums and teeth. Microscopic bacteria reside in your mouth calling it home, feeding off the food particles left on our teeth. Bacteria produce acid from their feasting and this acid eats into your tooth enamel creating cavities. Addition toxins are produced from bacteria in plaque that will inflame and irritate your gum tissue. And finally, without proper care the bacteria can also sulfur compounds that create bad breath. In the most recent studies, poor oral health can be linked to other related health issues that may stem from oral bacteria entering the bloodstream affecting other internal organs. Regular brushing and flossing removes the plaque and the bacteria plaque contains. 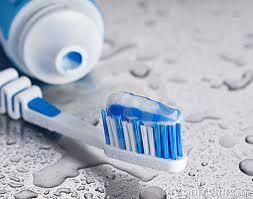 Unfortunately, many people think brushing alone is sufficient to rid the mouth of these bacteria. But flossing is a key component to your good oral hygiene program. If you do not floss and allow plaque to remain in between teeth it eventually hardens into a substance known as tartar. Unlike plaque which can be easily removed by brushing, tartar can only be removed by your dentist. Over time, failing to floss will result in irritated and inflamed gums. This condition is known as gingivitis, which if left untreated can progress to periodontal disease domino’ing into gingival recession, bone loss, loose teeth, and so on until ultimately your teeth are lost. Timely and regular flossing removes the bacteria that escapes the reach of the toothbrush. Brushing alone only does part of the job. So you really need to floss. The American Dental Association recommends that you floss at least once a day, but I would suggest once in the morning and once in the evening as the better protocol. Woodstock Dentist: How Often Should I See the Dentist? You should see your dentist for regular cleanings and check-ups at least every six months. 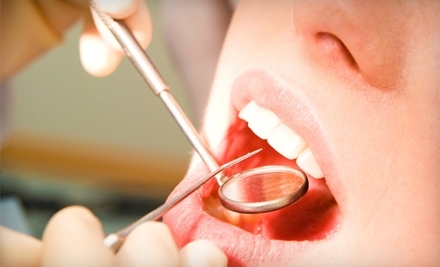 There are those who are at greater risk for oral diseases and other related health issues that should have dental cleanings and check-ups more than twice a year, such as, diabetes, periodontal (gum) disease, possible heart disease, pregnancies and in rare instances alcohol and tobacco users. Poor oral hygiene and certain medical conditions are some of the many factors that your dentist takes into consideration when deciding how often you need your dental cleaning and check-ups. One of the real problems that has invaded oral healthcare are the restrictions placed on insurance coverage by insurers. You need to understand that insurance companies serve a self-interest in reducing the number to times you visit your dentist. Try not to let what your insurance covers be your benchmark for your healthcare. Going on a regular basis will help to keep your oral health on track as well as detect any early problems such as periodontal disease, oral cancer or cavities. The best way to maintain good oral health is to visit your dentist on a regular basis coupled with brushing your teeth and drinking fluoridated water. And like I always say ‘the best toothbrush is the one you use’. So please, if we can help feel free to call us.